Products and Services - Belvedere Automation Unlimited Inc.
FineTek Automation – FineTek broad range of products had passed many international safety certifications and approvals. All products follow IEC international design and quality standards. FineTek product range consist of Liquid and Solid Level Measurement, Safety Products, Pneumatic Hammer and Dust Collector Systems, Meters and Controllers. 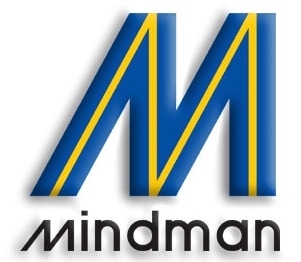 Mindman - Mindman is a pneumatic automation products manufacturer. Its wide diversity includes Solenoid Valves, Mechanical Valves, Pneumatics/ Hydraulic Cylinders, Air Filter/Regulator/Lubricator, Pallet Control Systems, Fittings, Hose, etc..
National Instruments - National Instruments transforms the way engineers and scientists around the world design, prototype, and deploy systems for test, control, and embedded design applications. Using NI open graphical programming software and modular hardware, customers at more than 30,000 companies annually simplify development, increase productivity, and dramatically reduce time to market. From testing next-generation gaming systems to creating breakthrough medical devices, NI customers continuously develop innovative technologies that impact millions of people. Beijer Electronics - Drawing on more than 25 years of experience, Beijer Electronics offers a complete portfolio of cutting-edge HMI (Human-Machine Interface) products. These include not only the award-winning operator panels, but also PC-based HMI and other powerful software packages. Asco Numatics - With over 100 years experience, ASCO Numatics is a leader in fluid power and fluid control markets. Several thousands of customers in various sectors such as the food, packaging, handling, chemical, petrochemical, energy, wood and paper, and automobile industries (just to name a few), trust ASCO Numatics for the industrial automation solutions we provide..